Saints are often compared to stained glass in a church – people through whom the light of God shines. 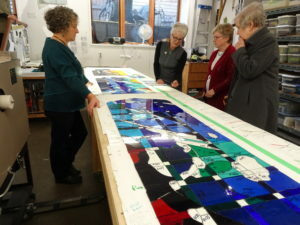 A visit to the Art Zone Glass Studio recently gave members of the Yorkminster Park Baptist Church Stained Glass Window Committee a deeper appreciation for the process of the artistry in creating a stained glass window. 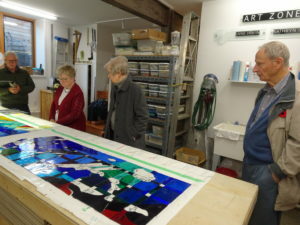 First the glass is blown and then cut into hundreds of pieces and assembled in a jigsaw format according to a grand design with each piece doing its part. 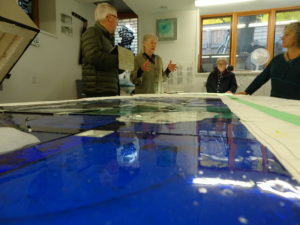 Then the glass is further prepared with an acid etching that provides variations to the colour. 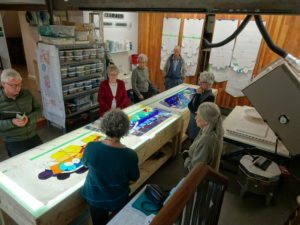 Eventually it is painted or stained and fired in a kiln before the lead is applied to bond the pieces as one. It is only after all of this handiwork is hung in a window frame and the light pours through that someone will notice the likeness to a saint. The saintly side of our beings often comes to light only after such a process. The Spirit breaths life and the vine is cut and pruned that it might bear fruit. Some of our colour has to fade and much that is black and white needs to be shaded with love and grace. And no one of us can do it without the others. We are all part of something so much greater than our individual selves – the body of Christ. And Christ’s is the light that bonds us together bringing beauty and love to light. 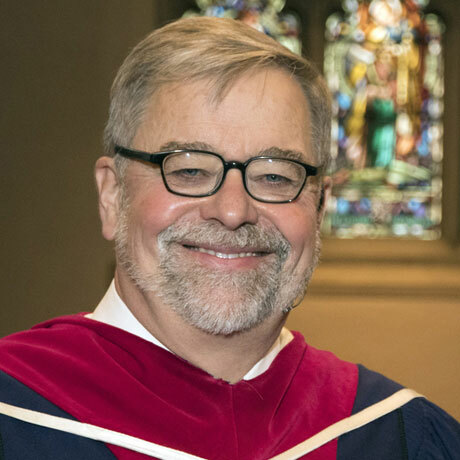 I look forward to the completion of a new window, but mostly I look forward to the fullness of God’s life and light revealed in the body of Christ.